Bonham, Mark S.. "Royal Bank of Canada (RBC)". The Canadian Encyclopedia, 22 February 2019, Historica Canada. https://www.thecanadianencyclopedia.ca/en/article/royal-bank-of-canada. Accessed 24 April 2019. Royal Bank of Canada (RBC) was founded in 1864. Today, it is the country’s largest chartered bank and financial institution. It has five divisions: Personal and Commercial Banking, consisting of banking operations in 36 countries around the world; RBC Wealth Management, consisting of investment products and services for retail investors; RBC Capital Markets for international investment banking services; RBC Insurance for individual and group clients; and Investor and Treasury Services, providing custody services and fund administration for international clients. Royal Bank is a public company that trades on the Toronto Stock Exchange, New York Stock Exchange and SIX Swiss Exchange under the symbol RY. In 2018, RBC registered $42.6 billion in revenue and $12.4 billion in profit and held $1.3 trillion in assets. Royal Bank employs more than 84,000 people, who serve 16 million customers. Royal Bank Plaza, Toronto, Ontario. The tower was designed by architecture firm Webb Zerafa Menkes Housden Partnership in 1976. Royal Bank of Canada began as the Merchants Bank of Halifax in 1864. It was founded by a small group of Maritime trade merchants as a private, unchartered commercial bank that would assist them in their daily business activities. It wasn’t until after Confederation, in 1869, that the bank received its official federal charter and became a public company (with an initial capital of $300,000). From there, the bank grew rapidly in the Maritime region, opening offices throughout Nova Scotia, New Brunswick and Prince Edward Island. In 1887, it opened a Montreal office. The bank also established correspondent relationships with Chase National in New York and the Bank of Scotland in London, England. 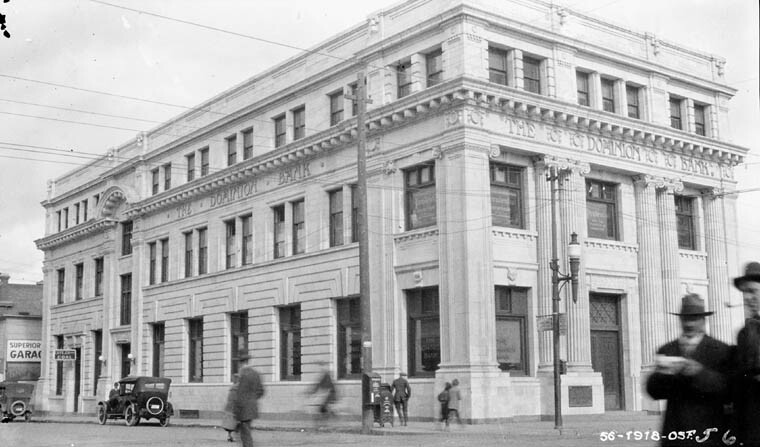 In 1897, the bank opened in Vancouver, its first branch in Western Canada. This early breadth of operations allowed the bank to weather the economic ups and downs of the Maritime region, unlike many of its local competitors. 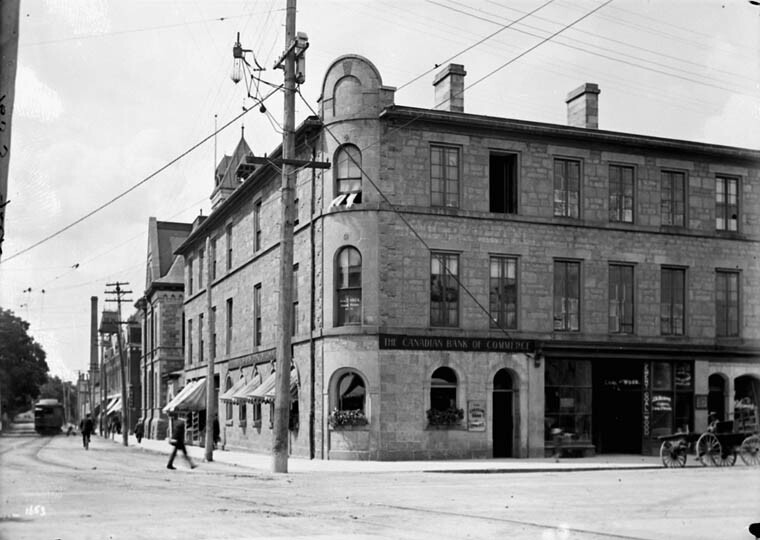 In 1893, the Merchants Bank of Halifax listed its stock for trading on the Montreal Exchange. The Merchants Bank’s first international branches opened in Bermuda in 1882 and Havana, Cuba, in 1899. The expansions were prompted by close ties between the port of Halifax and the West Indies through trade in sugar and rum. These international branches were the first in a series of branches throughout Cuba and the West Indies that eventually numbered 72 by 1926. Going forward, the West Indies business remained a prominent part of the overall business of the bank. Nevertheless, the Merchants Bank of Halifax remained a relatively small company in its early years, making up only 1.5 per cent of total Canadian bank assets in 1880, growing to 3.6 per cent by 1900. The Merchants Bank experienced remarkable growth between 1900 and 1930. In anticipation of this development and to give the bank a more modern image, the bank changed its name to The Royal Bank of Canada (RBC) in 1901. At that time, it had 64 branches across the country. It opened its first Toronto branch in 1903. 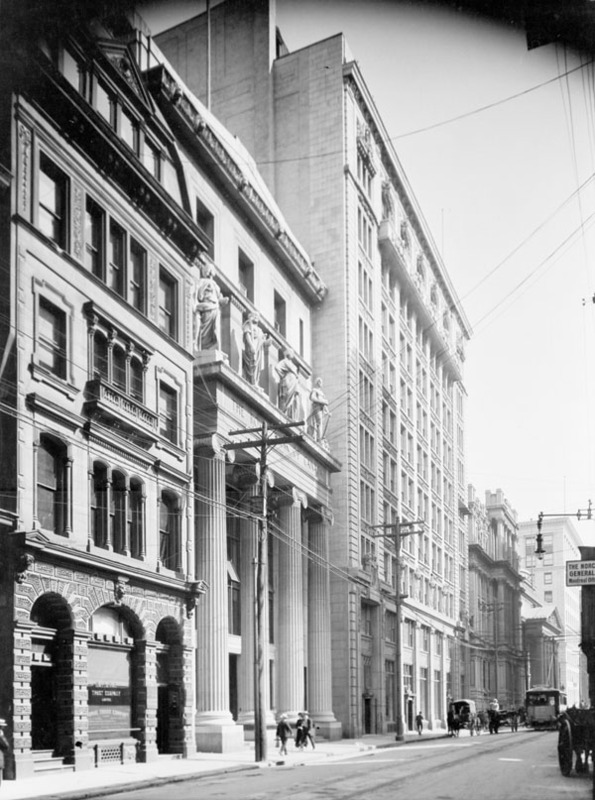 In 1907, shareholders approved a motion to move the bank’s head office from Halifax to Montreal, where the bank’s general manager was located. Its regional branches were, in essence, providing operating funds for loans to national companies located in that financial city. By 1908, board directors elected Canadian businessman Herbert Holt of Montreal as bank president, and by year’s end had established branches in every provincial capital. In order to grow business, bank managers realized they would have to follow an acquisition strategy. They merged with the Union Bank of Halifax in 1910, the Traders Bank of Canada in 1912 (giving them access to the Ontario market), the Quebec Bank in 1917, and Northern Crown Bank in 1918, the latter of which gave them a strong presence in Western Canada. The bank’s real growth spurt occurred in the 1920s and 1930s. The Royal Bank took over the troubled Union Bank of Canada in Winnipeg in 1925, adding 327 branches and $115 million in deposits to its business. The deal was the largest bank transaction to date in the country. It made RBC the biggest bank in Canada (by assets) — a position it has held, with the exception of 1932–35, ever since. 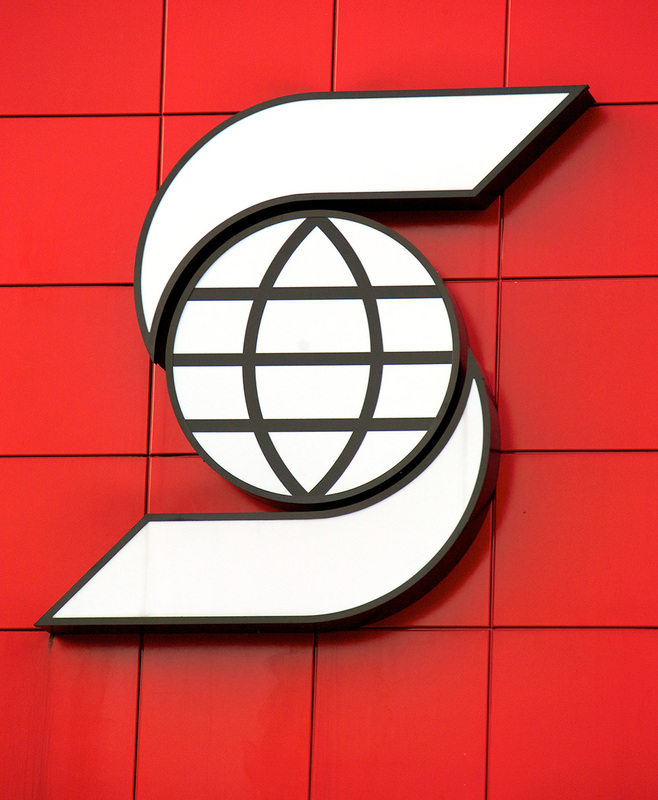 In 1929, it became the first Canadian bank to exceed $1 billion in assets. As RBC grew, it became particularly well-known for its administrative expertise. In 1925, the bank hired the first ever chief economist for a chartered bank in Canada, Donald Marvin. In addition, the first Governor of the Bank of Canada (established in 1934) was a management executive from RBC, Graham Towers. The challenges of the Great Depression affected RBC as it did all business in the country. As the principal lender to McDougall & Cowans (the largest stock brokerage firm in the country) and several other significant stock brokerage firms, the bank faced a potentially catastrophic number of withdrawals. McDougall & Cowans went bankrupt	in October 1931, when the British government abandoned the gold standard and stocks plunged for a second time (after the 1929 stock market crash). The management skills of the bank, together with its strict lending policies, saved the day. 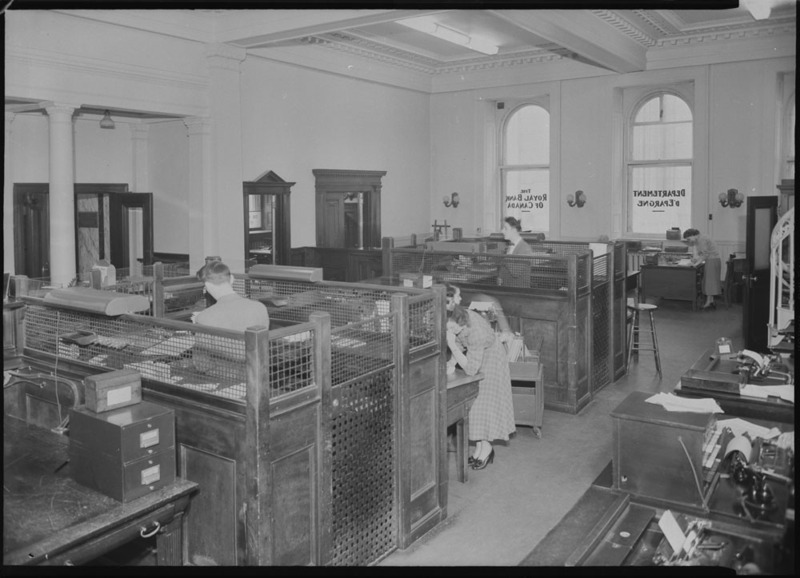 Interior of the Royal Bank of Canada, Québec, Québec, 8 April 1949. The turmoil of the Great Depression was followed by a period of conservative management in the banking sector overall. Following the Second World War, RBC became known as a lead developer of Canada’s oil, gas and resource exploration business (see Petroleum Exploration and Production). It opened an oil and gas department in Calgary in 1952. The banks collectively began to materially grow again in the 1960s with a new focus on consumer lending. All banks were aided by changes to the Bank Act in 1954, which allowed them to issue mortgage loans for the first time. In 1967, additional changes removed the 6 per cent interest rate ceiling they could charge on loans. By 1967, RBC had written more than half of the residential mortgage loans of all banks in the country. That same year, the bank partnered with Roy Fund Limited to begin offering mutual funds to its retail clients throughout Royal Bank branches. Place Ville Marie, Montréal, Québec. The building was designed by I.M. Pei and Raymond Affleck, and was RBC's head office from 1962 to 1976. 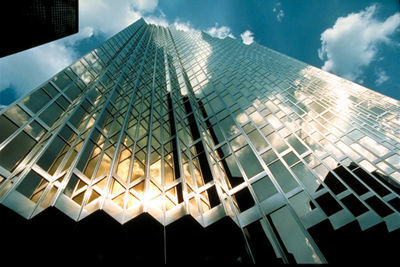 To accommodate its growing operations, RBC announced the construction of a new head office in 1956, called Place Ville Marie. At 45 storeys high, it was Canada’s largest skyscraper at the time. In 1961, RBC was the first in the banking industry to begin using a computer	in its administration. When it moved into its new Montreal offices in 1962, the bank unveiled its new logo, a variant of which is still used today — a stylized lion with a crown and a globe symbolizing the bank’s stature in international banking. To take advantage of international banking opportunities, in October 1970, RBC partnered with Chase Manhattan Bank, England’s National Westminster Bank and Germany’s Westdeutsche Landesbank Girozentrale, to create Orion Bank. The purpose of Orion was to help manage RBC’s growing Eurodollar business of international deposits and loans. It quickly became a leader in this business of international lending such that RBC bought out its partners in 1981. The division was renamed Orion Royal Bank and would become the flagship of RBC’s merchant and investment banking activities worldwide. Today, the division operates under the name RBC Capital Markets and is one of the largest global investment bank operations in the world. In other international ventures, RBC became the first Canadian bank to have a representative office in Beijing, China, when it opened in 1981, and subsequently upgraded to a full branch in 2006. 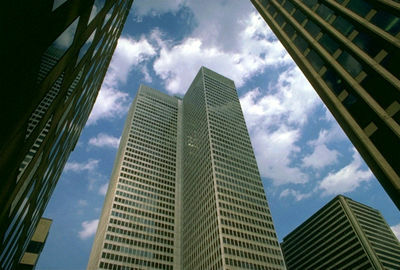 The bank entered the political arena in 1976 when it announced that it would move its head office operations from Montreal to Toronto. The move was a direct response to the increasing separatist political threat from the Parti Québécois to attain independence from Canada. This caused considerable turmoil at the time. To diversify its business operations outside of the traditional banking area and into wealth management, in 1988 RBC bought 67 per cent of the largest investment dealer in the country, Dominion Securities Inc., and renamed it RBC Dominion Securities. RBC Dominion Securities further grew when it acquired the large independent firm Richardson Greenshields for $480 million in 1996. In 1992, the federal government amended the Bank Act to allow banks to own trust companies. Royal Bank subsequently obtained the country’s largest money management firm, Royal Trustco Ltd., from Trilon Financial Corporation in 1993 for $1.65 billion. In 1997, the bank announced that it had entered negotiations with Trilon to buy London Life Insurance Company. This immediately raised concerns in the life insurance sector of further ownership of life insurance companies by banks. Winnipeg’s Great-West Life Insurance Company countered the offer and eventually succeeded, paying $2.9 billion for ownership of London Life. Instead, RBC built up its insurance operations through the acquisition of Voyageur Insurance Company in 1993, Westbury Canadian Life Insurance Company in 1996, the Mutual of Omaha Life Insurance’s Canadian operations in 1998, and Liberty Life in 2000. Today, the bank offers life, travel, property, and casualty insurance within its RBC Insurance division. In 1998, the Bank of Montreal and RBC shocked both the government and the stock markets when they jointly announced their intention to merge. The rationale for the merger was to create a bigger bank that could compete internationally. In January 1999, the Minister of Finance — who must approve all changes in bank ownership — declared the merger void since it would severely reduce price competition, and therefore would not be in the best interests of Canadians (see Royal-Montreal Bank Merger). In light of the government’s decision to prohibit RBC to merge with the Bank of Montreal, RBC began to look outside Canada for acquisition opportunities. In 2000, the bank announced what was its biggest acquisition to date with the purchase of the US brokerage and investment management firm Dain Rauscher Wessels for US$1.46 billion. It merged this firm into the Boston and San Francisco-based brokerage firm Tucker Anthony Sutro in 2002. In 2008, RBC combined its brokerage and asset management operations, including RBC Dominion Securities, into a new division called RBC Wealth Management. In 2001, RBC purchased Centura Banks Inc. for US$2.3 billion and renamed it RBC Centura. This gave the company a banking presence in the southeastern United States with US$11.5 billion in assets and 246 branches, principally in the Carolinas and Virginia. Integration and management of this company proved troubling, however, especially following the 2008 financial crisis and collapse of real estate and mortgage markets in the US. Royal Bank abandoned its US retail banking growth strategy in 2011 when it sold RBC Centura to the American bank PNC Financial Services for US$3.62 billion. Royal Bank also decided to focus on growing asset management. The bank implemented this strategy in 2008 when it purchased the privately held asset management firm Phillips, Hager & North of Vancouver, and its $105 billion in managed assets. Internationally, the bank purchased London’s BlueBay Asset Management in 2010 for $1.56 billion, providing it with an additional US$40 billion of assets under management. When these two entities combined with the bank’s own wealth management subsidiary, RBC Mutual Funds, Royal Bank became the largest mutual fund and asset management company in Canada and among the top 50 global wealth managers by assets. In 2016, the bank announced it was selling its property and casualty insurance operations to Aviva Canada Inc. for $582 million by way of establishing a long-term partnership with this company. The bank retained ownership of its travel and life insurance operations. Despite this sale, RBC Insurance remains among the largest bank-owned insurance providers in Canada. RBC Financial GroupThe website for the RBC Financial Group, a diversified financial services company. Offers information about products and services, investor relations, the RBC Financial Group Charitable Foundation and other company operations.